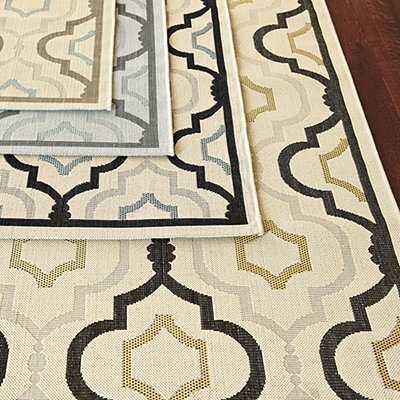 This on-trend reversible rug has the look of wool—and you can flip it over after it shows wear. $29.99 to $499.99 at West Elm. 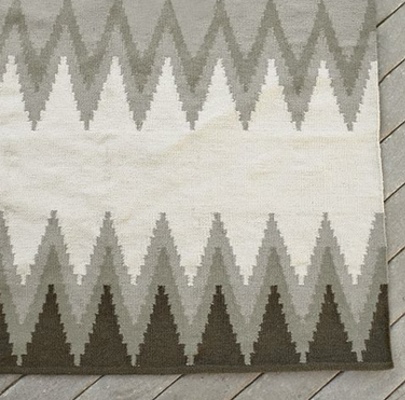 The muted tones of this chevron pattern create a sophisticated look, making it a great choice for indoors, as well. $19 to $229 at Ballard Designs. 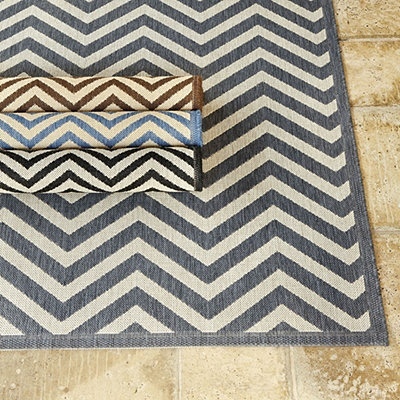 The wide stripes of this rug create a classic nautical vibe. 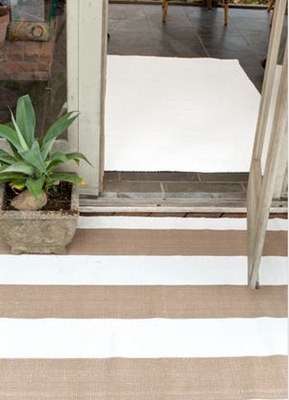 Bonus—this rug is bleachable for those stubborn stains. 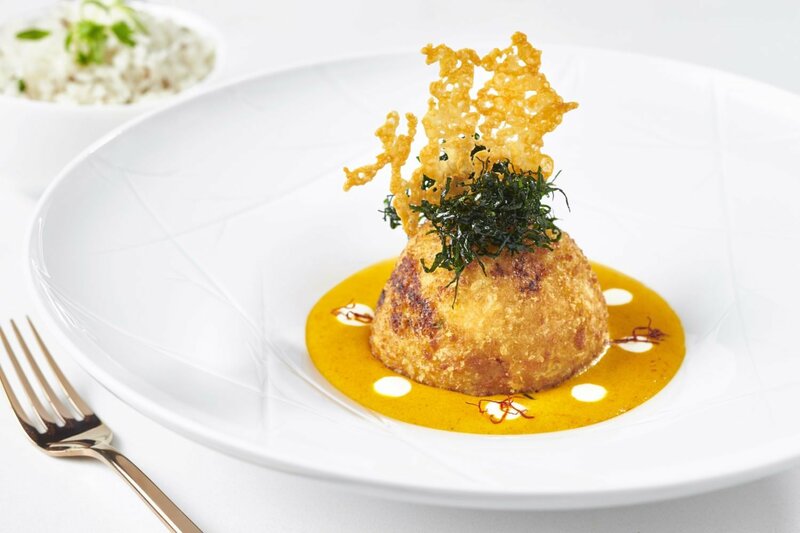 $38 to $514 at Dash & Albert. 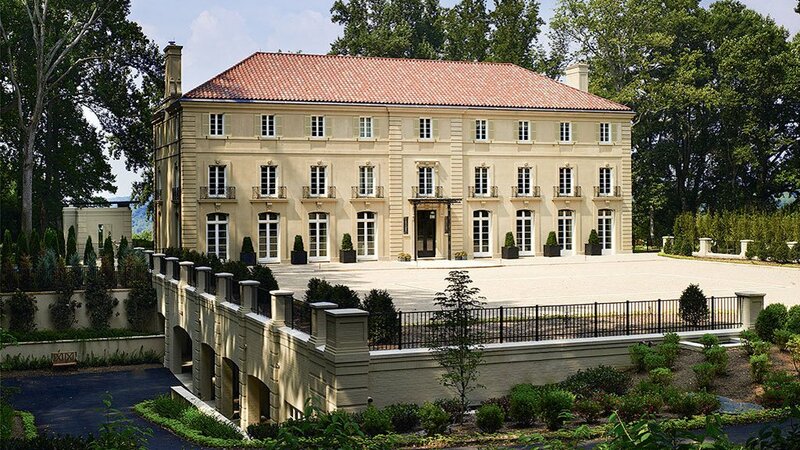 Looking for a strong pattern that won’t overwhelm? This rug is ideal. $55 to $319 at Ballard Designs. If you’re looking for something more subtle, this thin-striped pattern will add color and interest without taking center stage. $49 to $349 at Pottery Barn. 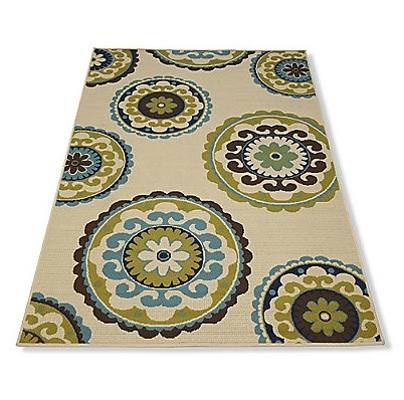 A bold pattern on a neutral background, this rug would be a great choice to anchor a seating area. $59 to $249 at Grandin Road. 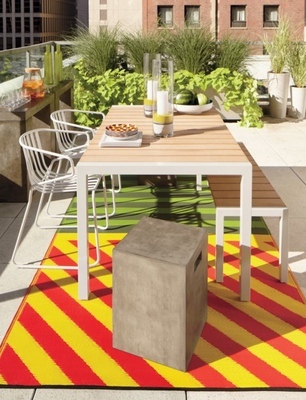 Super bright and bold, this rug is best paired with clean-lined outdoor furnishings. $69.95 at CB2. 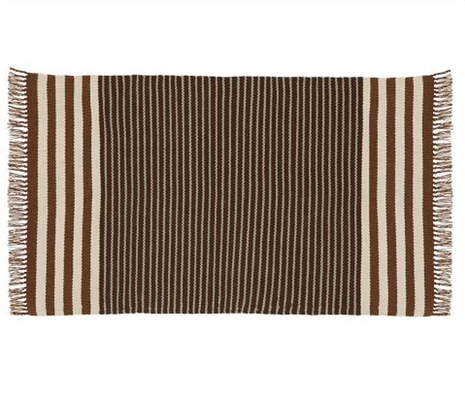 This stripe will brighten any space with its vivid coloring. 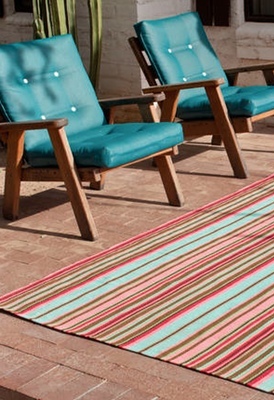 Great paired with solid-color outdoor furnishings, this rug is also bleachable. 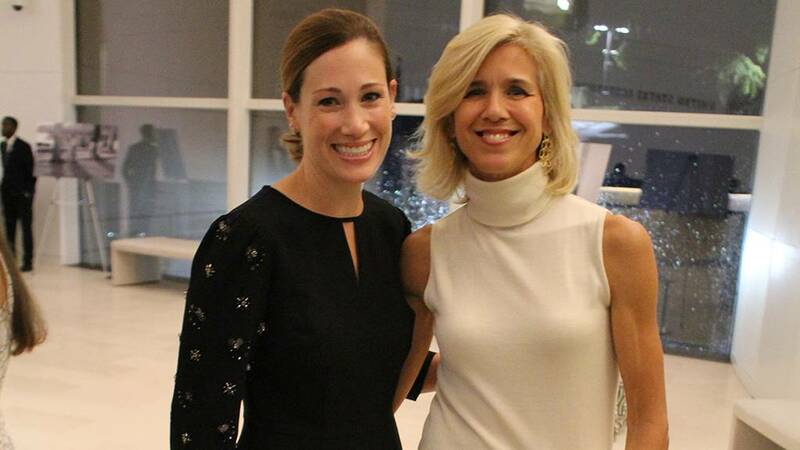 $38 to $514 at Dash & Albert. 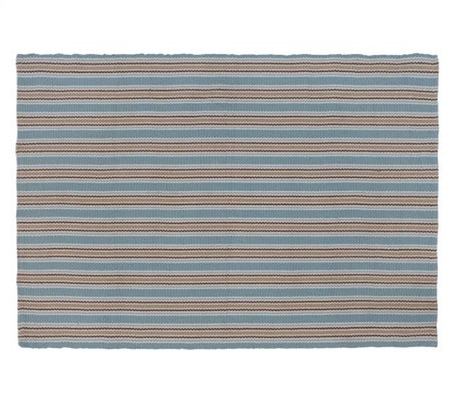 Made of recycled polyester, this neutral striped rug is an eco-friendly choice. 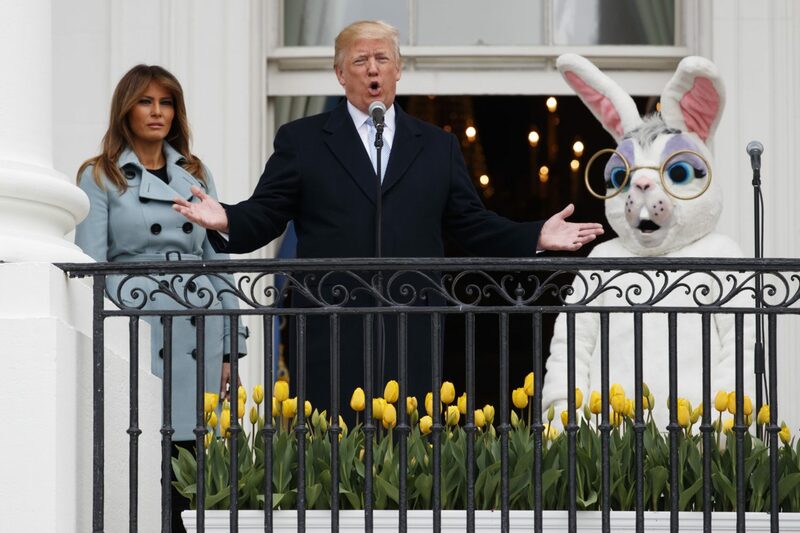 $179 at Pottery Barn. 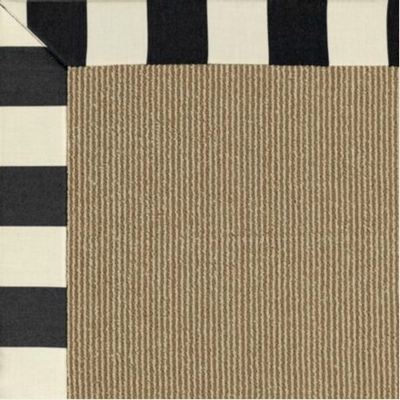 The neutral background and subtle color in the striped border will mix with a range of outdoor furniture styles. $139 to $799 at Ballard Designs, available in a variety of colors.